So back to the important topics of life - shoes. 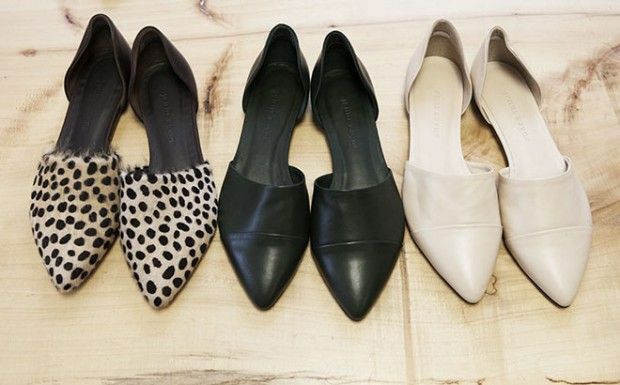 I don't usually get really into trendy-trend things (for lack of a better term) but I've been intrigued by D'Orsay flats. 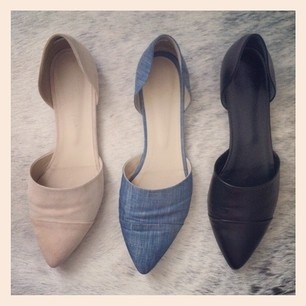 Has anyone tried on the Jenni Kayne ones? And if so, are they comfy/ how do they run? I've barely been able to find any reviews online. The price makes me want to run in the complete opposite direction. I've seen a few similar ones around stores here but they seem really stiff and uncomfortable. Part of me even likes the all black pony ones & even the leopard print - I don't know what I'm thinking. I know all black is always the way to go. I'm just a sucker for multiples of things lined up in a row in lots of colors.....if you hadn't noticed.